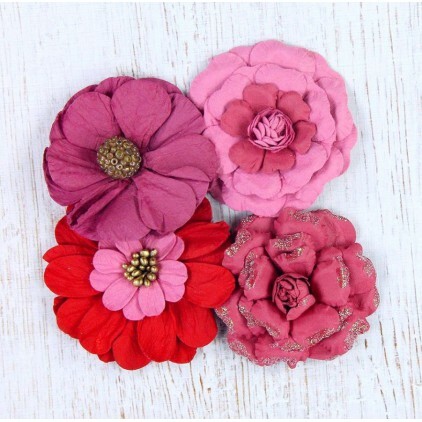 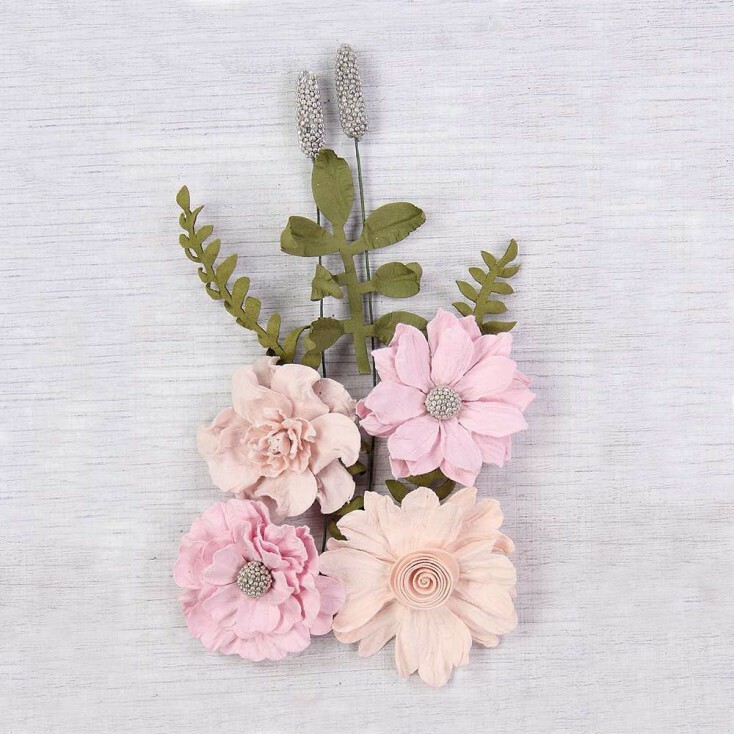 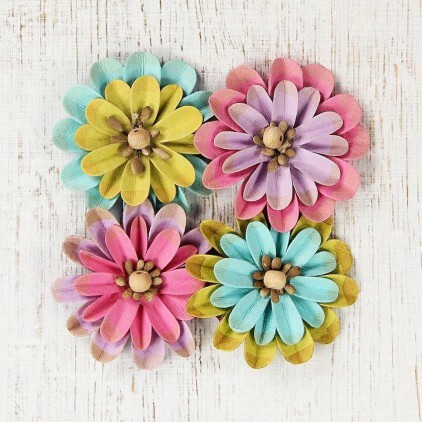 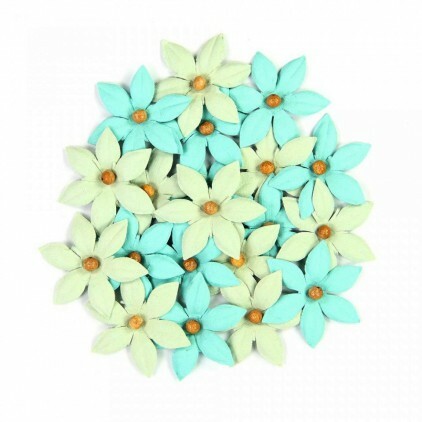 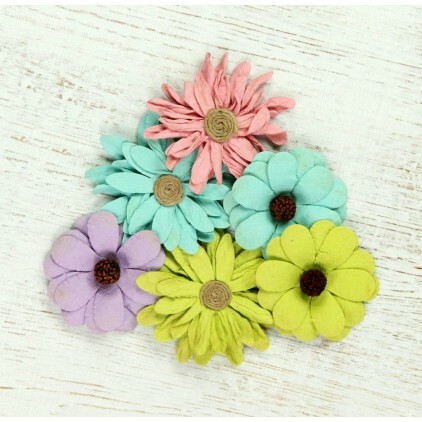 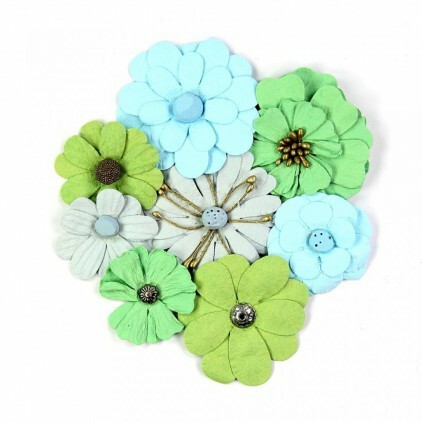 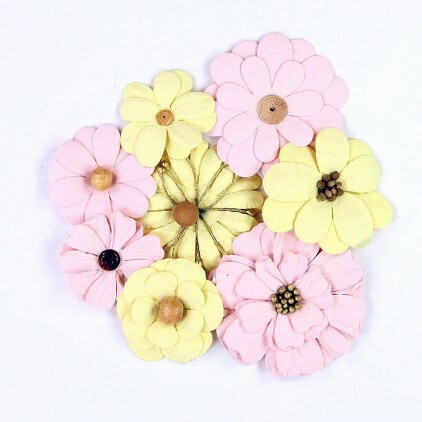 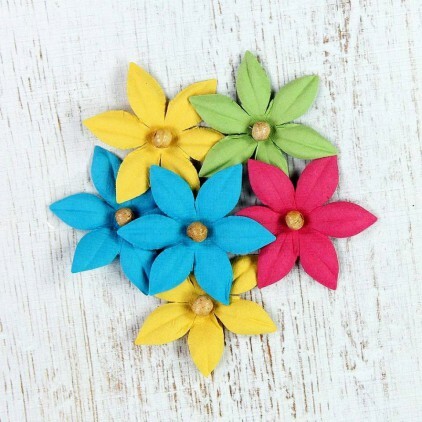 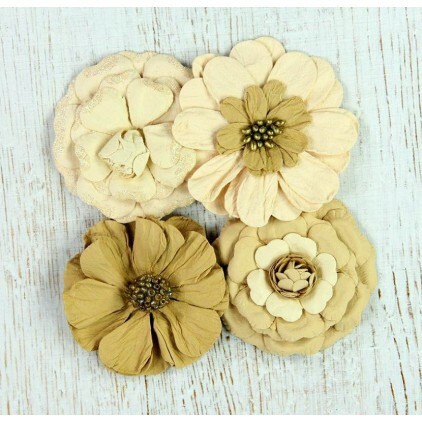 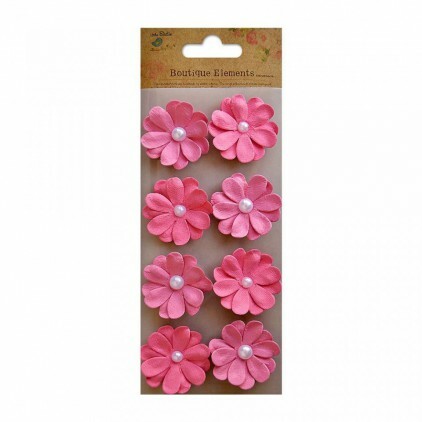 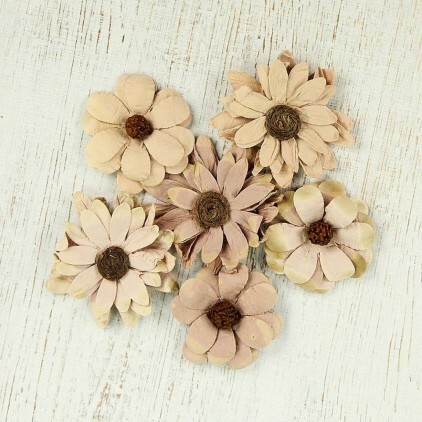 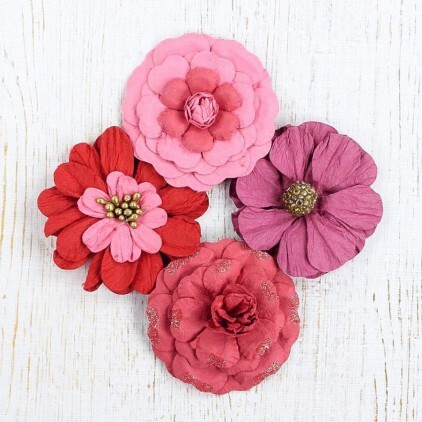 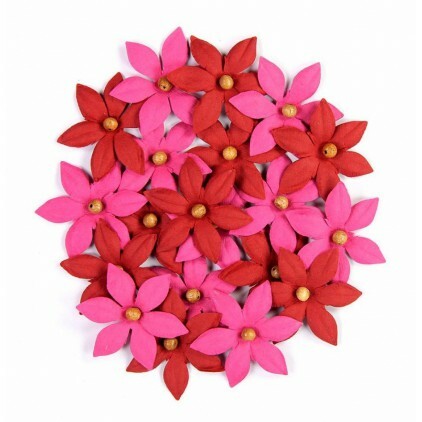 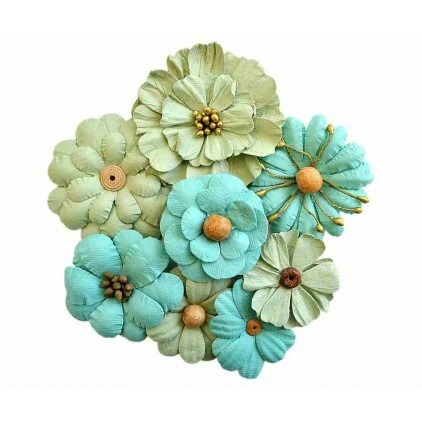 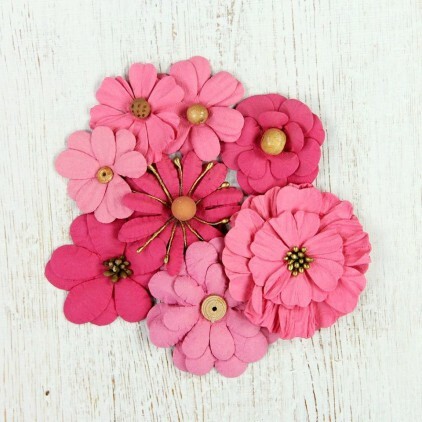 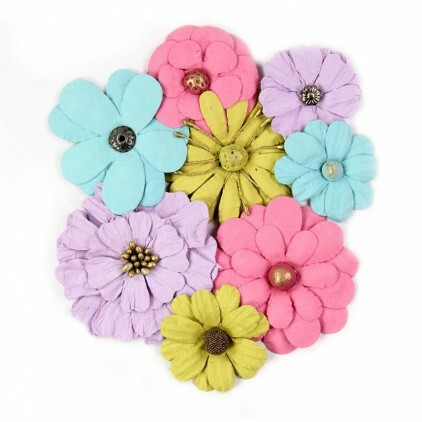 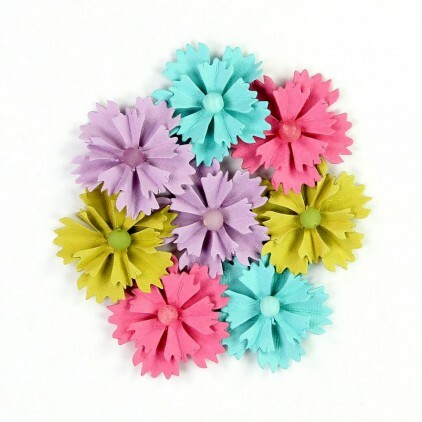 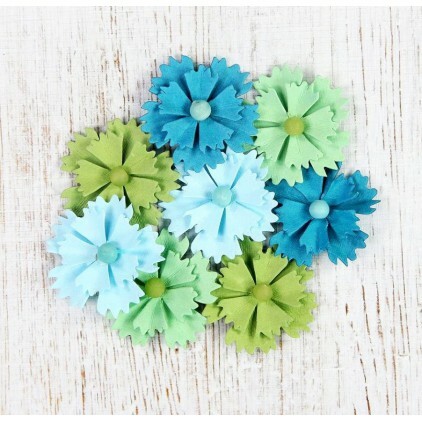 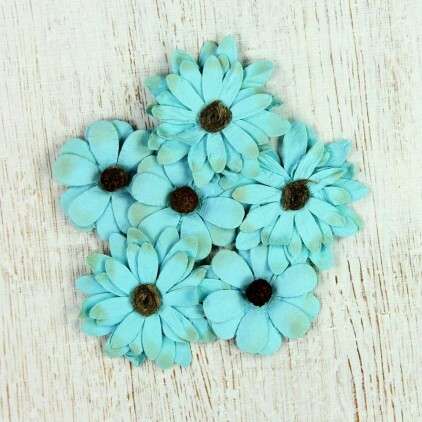 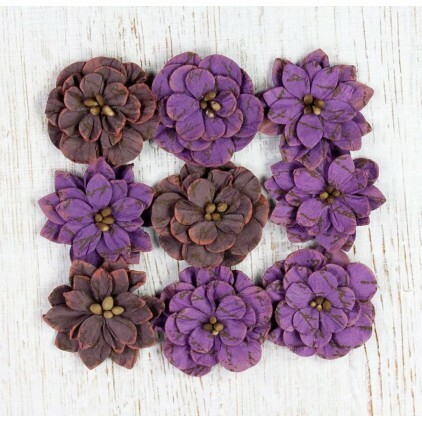 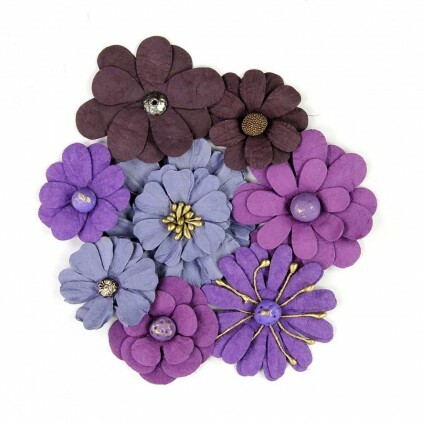 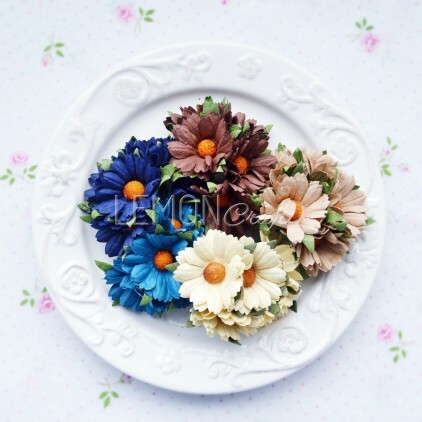 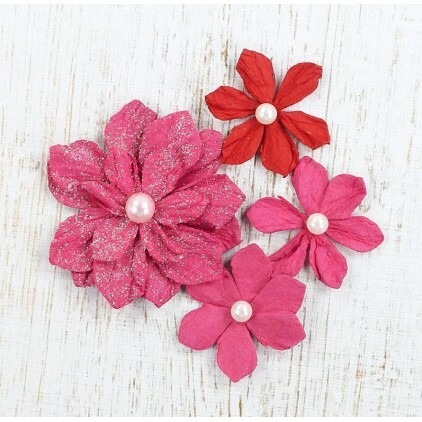 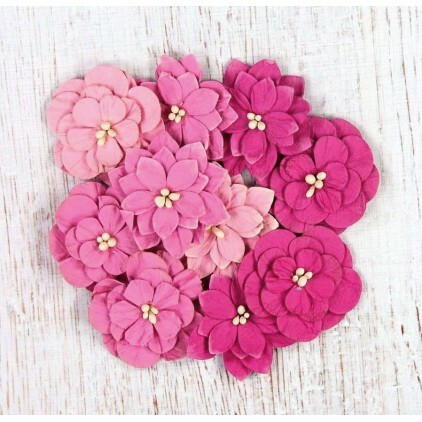 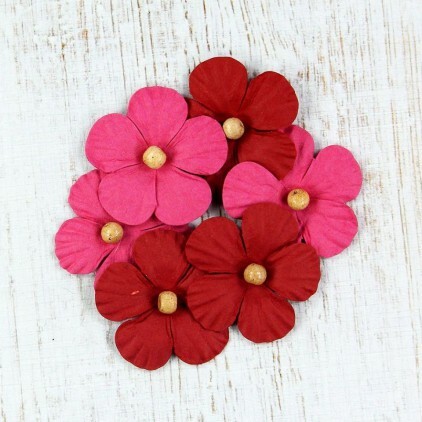 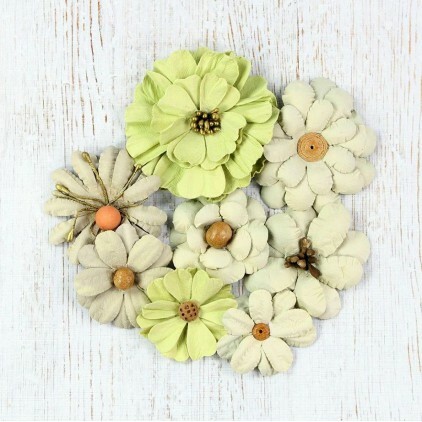 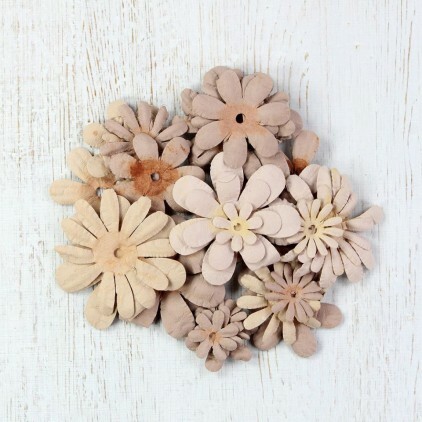 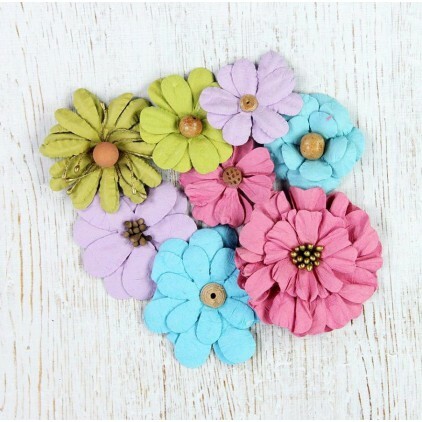 Set of cute, hand-made paper flowers. 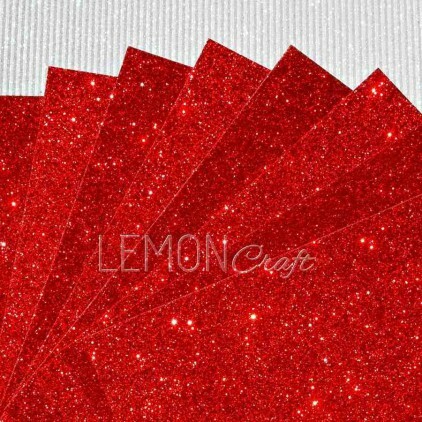 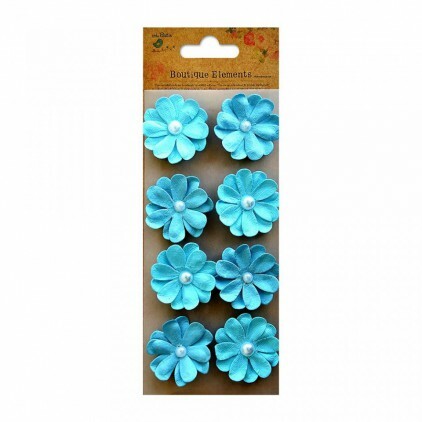 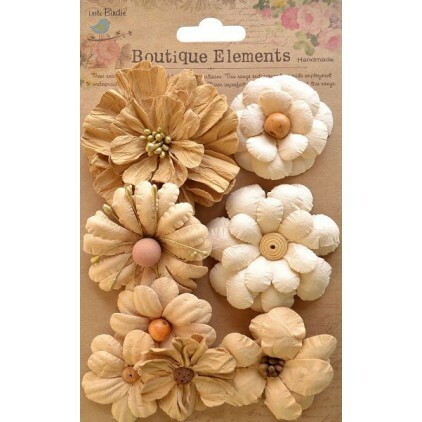 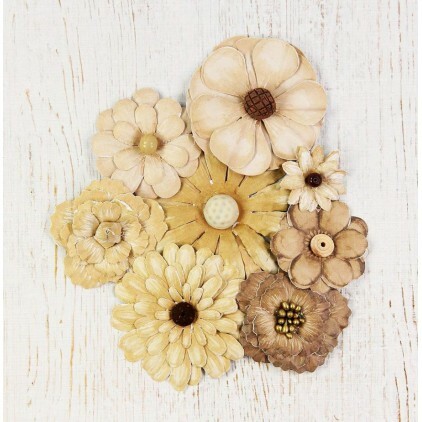 Beautifully decorate any of your craft work. 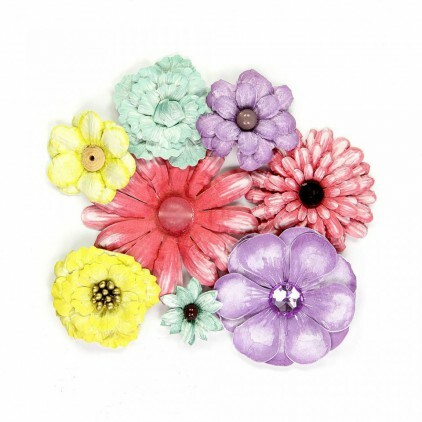 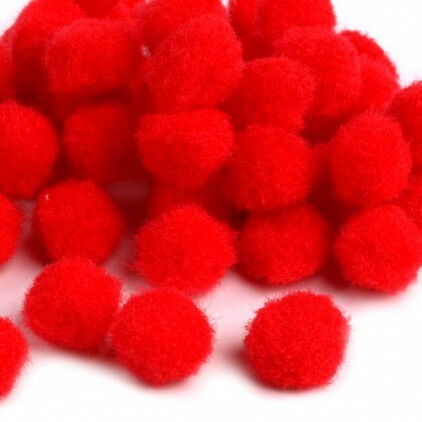 You can use them as is, you can also give them color by yourself using inks, paints or mists. 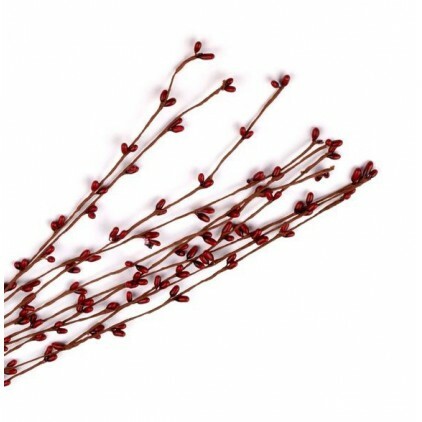 The set contains 4 flowers, leaves and stamen.